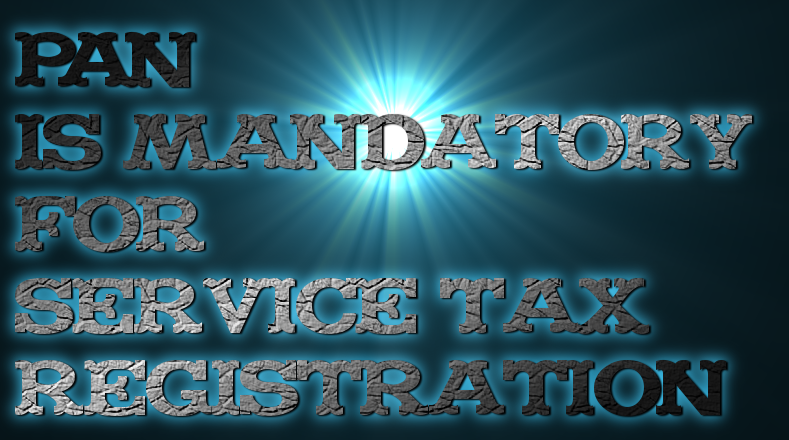 Permanent Account Number (PAN) is now mandatory for private firms for getting service tax registration besides email and mobile number. The registration shall mandatorily require that the PAN number of the proprietor or the legal entity being registered should be quoted in the application except for government departments, it said. 5) Henceforth, registration shall mandatorily require that the PAN number of the proprietor or the legal entity being registered be quoted with the exception of the Government Departments for whom this requirement shall be non-mandatory. Applicants, who are not Government Department, shall not be granted registration in the absence of PAN number.